Oxford is one of twelve of England’s historic cities which have collaborated to develop an innovative augmented reality (AR) product that is set to bring heritage to life. The ground-breaking new AR experience launched on March 31st to celebrate English Tourism Week. It consists of an app and videos that transports the user back in time to unveil the hidden lives of some of history’s most fascinating characters at the Bodleian Library. The premise of the app is to capture significant historic moments in time whilst providing tourists the opportunity to explore England’s most historic cities. It uses cutting-edge technology to give the historical moments a fresh perspective and make history’s fascinating characters come to life. It is set to transform the Bodleian Library’s appeal by introducing it to a new, more technologically motivated and younger audience. It also hopes to encourage return visitors by offering the opportunity to experience an attraction in a different way. In a rapidly changing and competitive tourist environment, the use of AR technology will offer a point of difference that will attract visitors and showcase the best of the city. In Oxford, the AR experience enables visitors to be guided through the Bodleian Library’s by past its first librarian, Thomas James. Through his stories, visitors will be able to get a rare look into the hidden lives of Oxford scholars throughout the ages including Oscar Wilde and Sir Thomas Bodley – the founder of the Bodleian Library. Visitors will also be able to see how student life today compares with the lives of students who studied in the Bodleian 400 years ago as well as seeing some of the fascinating things that have remained the same over the centuries. 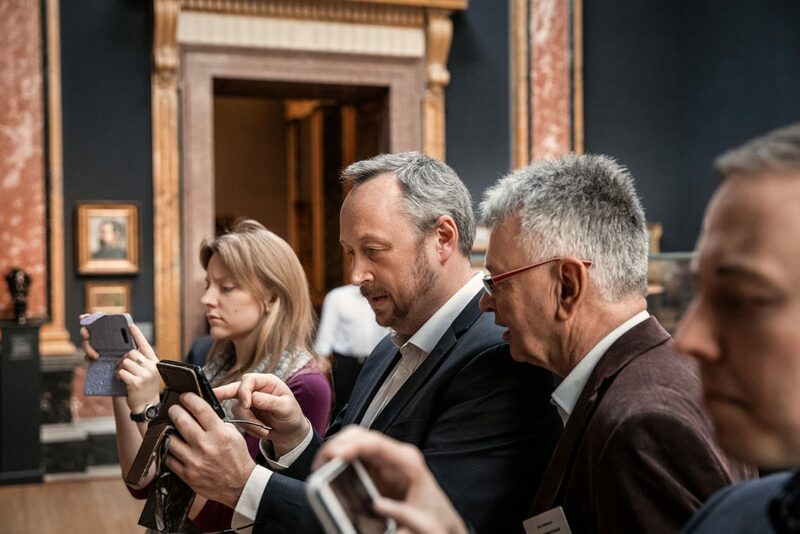 Experience Oxfordshire worked with the English Heritage Cities ‎Consortium to secure funding through the Discover England Fund for this AR project. Being involved in this innovative project was a great opportunity for Experience Oxfordshire to further enhance the counties outstanding profile. Leading the project in Oxford, Experience Oxfordshire were delighted that their partner the Bodleian Library were also a part of this, as the Heritage Partner for the city. Hayley Beer-Gamage, Chief Executive at Experience Oxfordshire, commented: ‘This is a really innovative way to bring the 400 year old Bodleian Library, one of the city’s most iconic buildings, to life through cutting edge digital innovation. We hope this attracts a younger audience to the city so they can experience the Bodleian Library, and Oxford’s many other attractions, at first hand’. The exciting new project is one of a number of projects to benefit from the £40 million Discover England Fund – a central government funded programme of activity administered by VisitEngland supported by match-funding from private and public partners. • The Fund will support a number of projects and pilots in year one (2016/17) to test and develop product development approaches and a small number of large-scale collaborative projects that create a step-change in bookable English tourism product for international consumers (in years two and three – 2017-19). A smaller funding pot for new one year projects and pilots, and continuation funding for existing round one projects that can demonstrate early learnings will also be available.